New Coupon! Tide Pods Just $1.97 at Walmart! 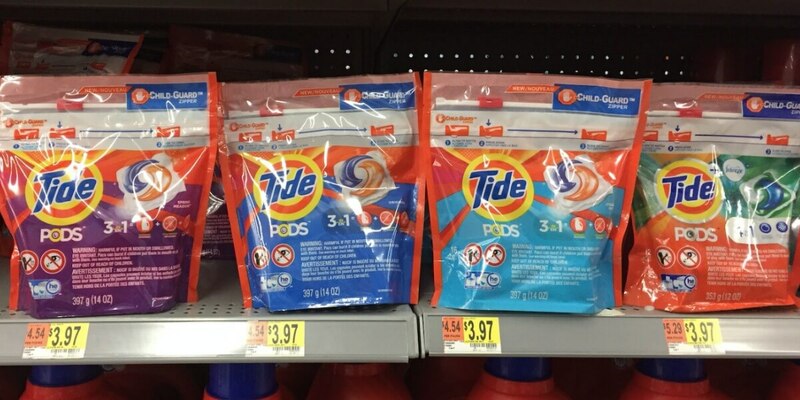 Walmart sells has the Tide Pods, 14-16ct for $3.97 making them just $1.97 after the coupon! Irish Spring Body Wash Just $0.74 at Walgreens! Purex Laundry Detergent Just $0.05 Per Load at Walgreens!